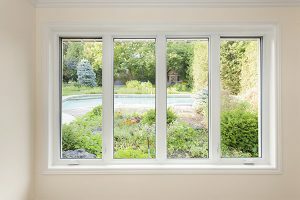 Chicago weather can sometimes be unpredictable which is why it’s important for your home to have properly functioning windows. They’ll help keep the outside weather out and your heated and cooled air inside. That’s why having drafty windows must be avoided by Chicago homeowners. Drafts can cause your home to be incredibly uncomfortable and will raise the price of your energy bills. If you don’t do something about your window drafts soon, the problem will only get worse. 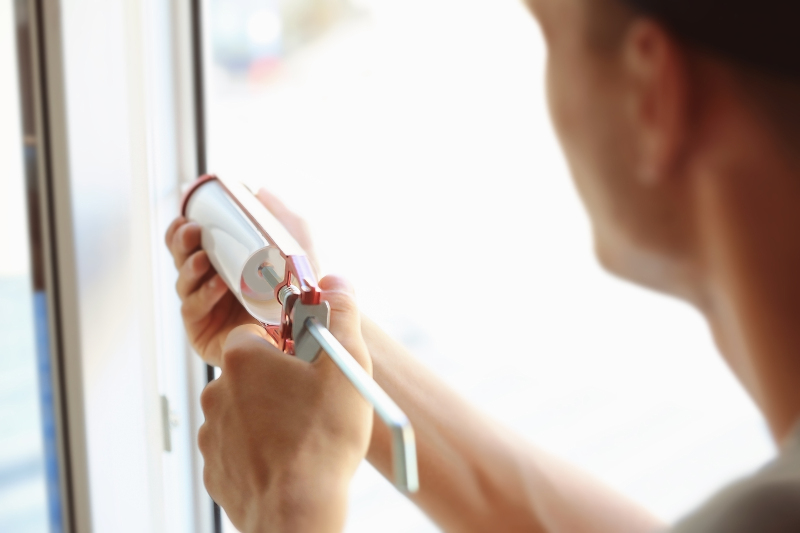 In this article, we’ll show you how to diagnose your drafty windows, what’s causing the draft and, most importantly, how to fix it. You’ll be living comfortably again in no time. First, you need to know if drafts are coming from your windows. 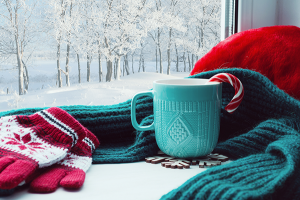 If your home is feeling colder or warmer than it should, it’s safe to assume a draft is getting in, but how do you know it’s coming from your windows? You can check your windows by performing the flame test. Start by getting a match or a lighter and lighting it. Move the flame along the surface of your window and around the edges. If the flame ever flickers, it’s a sign that a draft is getting into your home. You might not be comfortable moving a flame around your windows – especially if they’re made from wood. If that’s the case, you can perform the same test using a piece of paper. If the paper ever waves, then a draft is getting into your home through the window. 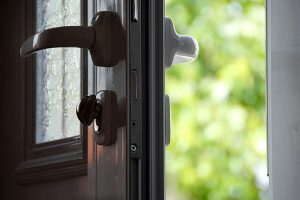 Let’s say you have a draft getting into your home, now what? It’s time to fix that draft and get your home back to feeling comfortable again. We have solutions that should help you with your draft problem. Window plastic is probably the cheapest solution but it’s also the most temporary and has mixed results. You can adhere it to your windows to add an extra layer of insulation which will make it harder for drafts to get into your home. It’s very easy to find window plastic – it’s at most hardware and department stores. Also, it’s super cheap running about $10 – $15 each. However, the plastic doesn’t last long. It’ll need to be replaced every 3 weeks or so which will start to add up. Also, window plastic isn’t a miracle worker. In fact, it doesn’t prevent drafts very well at all if the window itself isn’t energy efficient. Think of window plastic like a band-aid and not a solution. Another solution you can try is installing storm windows. They’re designed to be similar to storm doors in that they’re installed on the outside and create another layer of insulation. While in practice that sounds great, it won’t solve all of your problems. If your windows aren’t energy efficient, the storm windows can only do so much. They’re not designed to be your only defense against outside drafts. Storm windows work best when they’re paired with windows that are energy efficient. They complete an air tight seal and, with the help of energy efficient windows, make it virtually impossible for drafts to get into your home. When caulk begins to crack and wear down, it opens up your home to drafts. It creates an easy passage for air to move, hurting your home’s energy efficiency. When this happens, you need to caulk your windows. To caulk your windows, you need to first remove the old caulk using a knife. Then reapply new caulk smoothly and evenly. This will prevent drafts from getting into your home through gaps in your windows. There’s only 1 way to truly fix drafty windows once and for all: have them replaced with new windows. Getting replacement windows ensures that you won’t be feeling any drafts coming from your windows, but you’ll need to make sure you’re getting ones that are energy efficient. The key is to get vinyl windows. Unlike wood and aluminum windows, they have foam insulated frames which make it difficult for outside air to get into your home. Also, you want your glass to be double or triple pane and to be filled with argon gas. 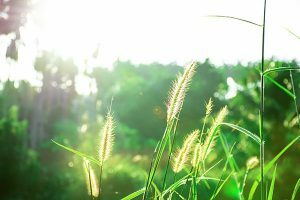 Don’t worry, argon gas is harmless, but why is it so important? It’s because it’s much more dense than the air making it difficult for it to pass through your windows. You want to make sure that your windows are installed properly, otherwise your problem won’t be fixed. Feldco is America’s #1 window company and we’ll ensure that your windows will be installed by industry professionals who are factory trained and certified. Now that you know how to fix your drafty windows, you’ll need to know why they occur. Knowing why your windows allow a draft will help you from preventing it in the future. Seal failure is the worst reason you’ll feel a draft. This is when the mechanical seal of your window breaks and allows the argon gas to escape. You’ll know your seal has failed when you have condensation between the panes of glass on your window. Don’t mistake seal failure for condensation. 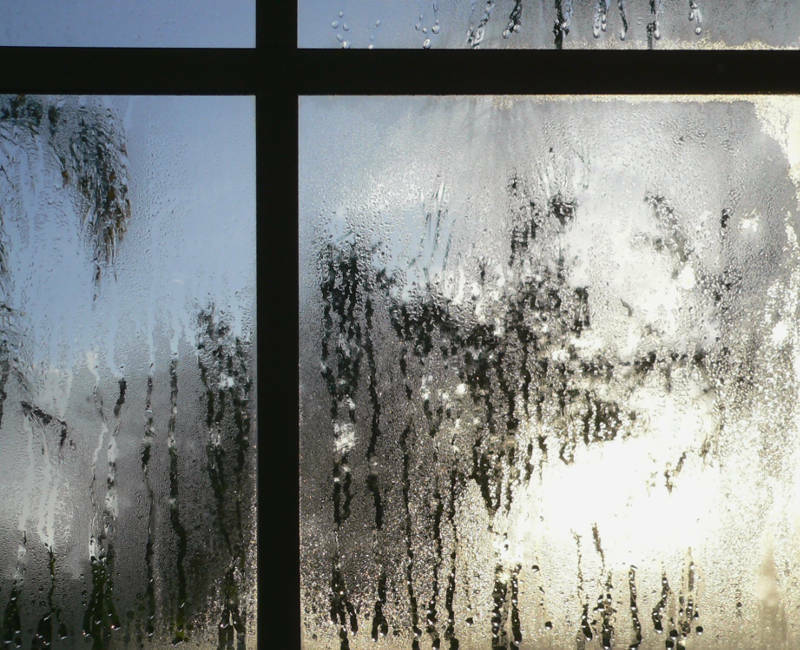 Window condensation isn’t a major problem and can be fixed by reducing the humidity in your home. If the condensation is on the outside of the window panes, it’s window condensation. If it’s between the panes of glass, the window seal has failed. There are many reasons a seal can fail. Sometimes, your seal fails with older windows due to wear and tear, but sometimes it’s because the window wasn’t handled with care prior to installation. Mold can also cause your seal to fail. When your seal fails, you can try to have it fixed, but you’ve already lost a lot of argon gas. Your best bet is to get replacement windows and have them installed by a reputable company, like Feldco. You already know that poor installation can cause your seal to fail, leading to drafty windows. However, there’s more that can happen with poor installation. If your windows aren’t measured and fitted correctly, this could cause gaps between the pane of glass and the frame. This is just inviting drafts into your home. Also, if the installers don’t know what they’re doing, they can damage the frame or the window itself. Damaged windows can cause drafts to get into your home very easily. When your caulk cracks, it opens up the gaps between your windows and the frames. That means drafts are getting into your home. You’ll need to make sure that’s fixed otherwise you’re in trouble. When your caulk cracks, you need to remove it and reapply new caulk. Over time, your windows become less and less energy efficient. That means if you have old windows, no matter how many panes of glass they have, you may still be feeling a draft through your windows. If this is the case, you need replace your windows immediately. By simply replacing your old drafty windows with energy efficient, argon gas windows, you’ll save up to 40% on your monthly energy bills. 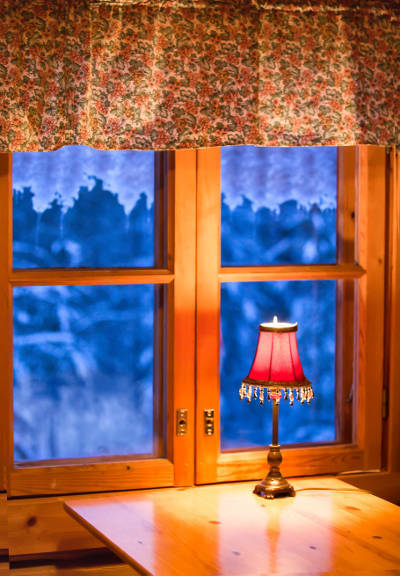 Drafty windows can be a major problem for your home. They’ll make your home uncomfortable and will raise the cost of your energy bills. Thankfully, there are ways to fix it. While storm windows and window plastic are great temporary solutions, replacement windows will ensure that your home is energy efficient and comfortable year round. Feldco offers argon gas-filled, vinyl windows to Chicago homeowners. Our windows are constructed with Chicago’s weather in mind, ensuring that they’ll be able to handle anything thrown at them. Get a free quote now and see why over 350,000 homeowners have trusted us with their home improvement needs.